She became Associate Professor in 1996. She specialized in Ethnology and Socio-cultural Anthropology at the Central European University in Budapest (1998), at the Dutch Institute for Research in Humanities and Social Science (1999; 2001), the University of Illinois at Chicago (2006). Since 1999 she has been a member of the European Association of Social Anthropology, and since 2006 she has been a member of the Coordination Council of the Network of European researchers with this organization. M. Elchinova began her teaching career in 1995. Over the years she has been a lecturer in Ethnology and Anthropology in the South-West University “Neofit Rilski,” the Plovdiv University "Paisii Hilendarski" and NBU. She is one of the authors of the Master’s Degree Program in Cultural and Social Anthropology (2000) and the Bachelor’s Degree Program in Anthropology (2004) at NBU. Her lectures are on the theory and history of anthropology, kinship, anthropology of ethnicity, policies of identity, anthropology of Europe, rituals and religion, and field anthropology. Her research interests include anthropology, anthropology of Europe, ethnic communities, religion and cultural identity, transnational migration, ethnicity and nationalism, ethno-semiotics, paremiology and discourse analysis. Assoc. Prof. Dr. M Elchinova has intensive research experience, including field work in Bulgaria, Turkey, Israel, Macedonia and the United States. She has participated in individual and group research projects, supported by Bulgarian and foreign organizations among which are “American Macedonians: The Construction of a Cultural Identity”, supported by the Bulgarian American Commission for Educational Exchange Fulbright (2006); “Curriculum Development: Anthropology in Bulgaria and R Macedonia in the Post-Socialist Period (1995-2005)”, a group project, supported by the Central European University, HESP program (2006); “Anthropology of Europe”, an international program for academic exchange, supported by the European Science Foundation (since 2003); “Religion in Societies in Transition: The Cases of Bulgaria and the Republic of Macedonia Compared”, supported by the A. Mellon Foundation (2001-2002); “The Emigrant – issues of identity and adaptation of Bulgarian Turks, emigrants to Turkey, interdisciplinary group project of NBU (2001-2004); “Strategies of Self-presentation in Ethnic Discourse”, supported by the RSS, ОSІ program (1999-2001); “Folklore and the Holy Books”, supported by the Bulgarian Academy of Sciences and the Israel Academy of Sciences and Humanities (1996-2000), etc. She speaks English, Russian and Turkish. 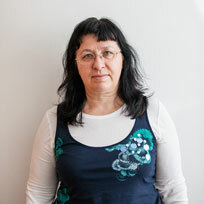 She is the author of numerous research publications in Bulgarian and English among which the compilation and editing of eight volumes (independently or in co-authorship) of over ten studies in refereed Bulgarian and international journals, over 40 research articles, and numerous papers at scientific conferences. Magdalena Elchinova has been a member of the Editorial Board of Anthropological Studies, a yearbook of NBU.